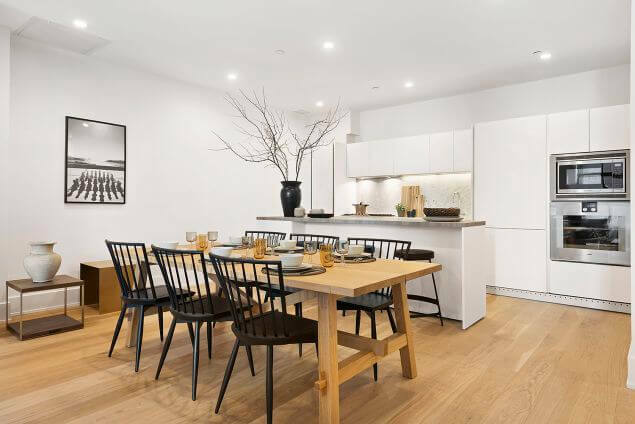 Morris Adjimi Architects designed this six-story building, which has eight units consisting of two- to three-bedrooms that range from 1,300 to over 2,000 square feet. 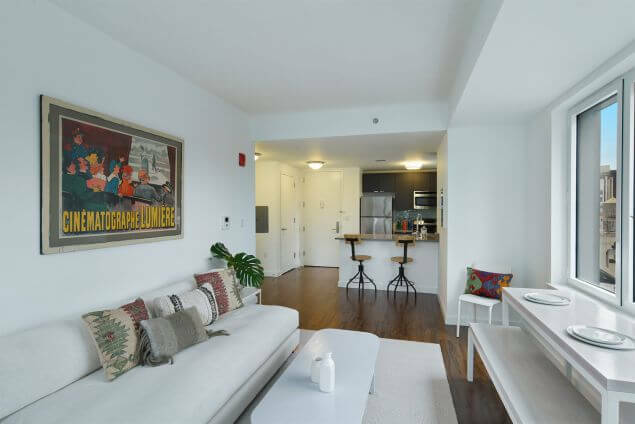 All apartments have 10.5- to 11-foot ceilings, direct key-locked elevator access, white oak floors, custom shades and drapery and a Bosch washer and dryer. Immediate occupancy. 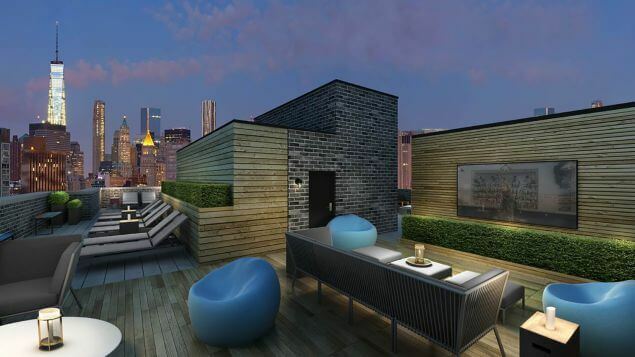 Amenities: Virtual doorman, roof deck. Second-floor apartments offered furnished. An octagonal-shaped building designed by SLCE Architects, with interiors by Philip Koether Architects. 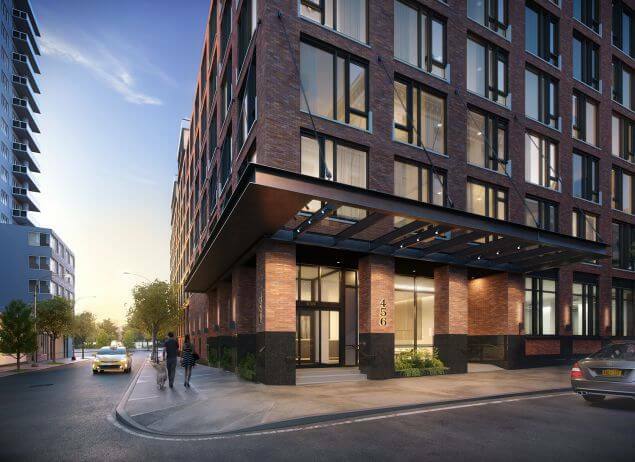 Three hundred and nineteen units including studio, one- and two-bedroom apartments feature floor-to-ceiling windows and white oak flooring. Immediate occupancy. Developer: J.D. Carlisle Development Corp., DLK Real Estate Capital Partners and Mitsui Fudosan America, Inc.
One of three residential towers within mixed-use development City Point. Exteriors by Cookfox; interiors by SLCE Architects and BanG Studios. 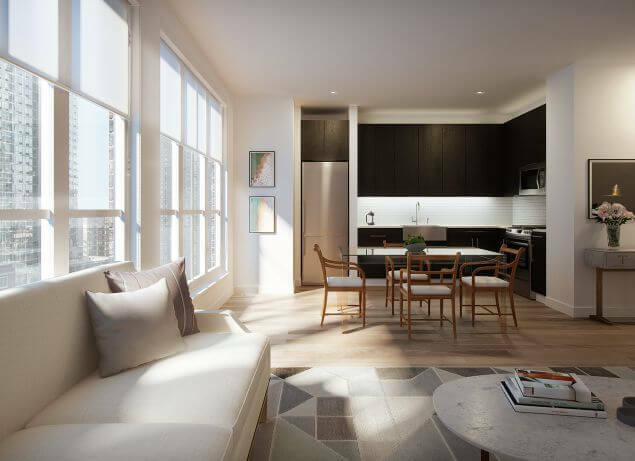 Two hundred and fifty units made up of one- and two-bedroom residences with nine-foot ceilings and walnut hardwood floors. 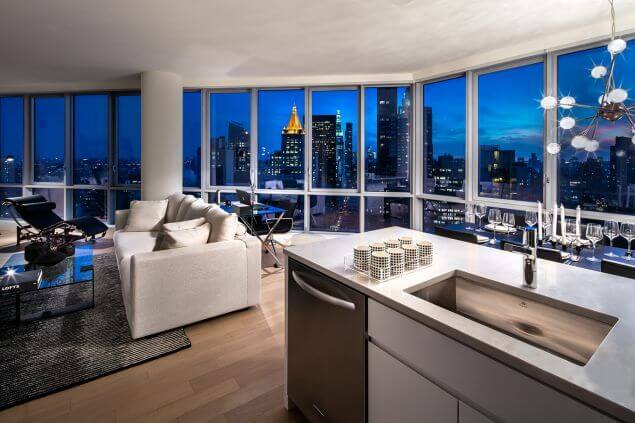 Kitchens have GE stainless steel appliance and chrome bath fixtures, and some units have private terraces. Expected occupancy first quarter 2016. Thirteen-story building designed by Stephen B. Jacobs Group, made up of studio, one-, two- and three-bedrooms. All 62 units have casement-style windows, solar shades, solid oak floors and washers and dryers; some have private terraces. Building interior materials include exposed concrete and blackened steel, and the lobby has a Banksy graffiti-tiled wall. Expected occupancy early 2016. Amenities: Private garden, fitness center, lounge and landscaped rooftop with outdoor screening area, sun terrace with misting shower and dining and grilling areas. Related Rentals’ new BKSK Architects-designed, 11-story building will have 84 units, ranging from studios to five-bedrooms. 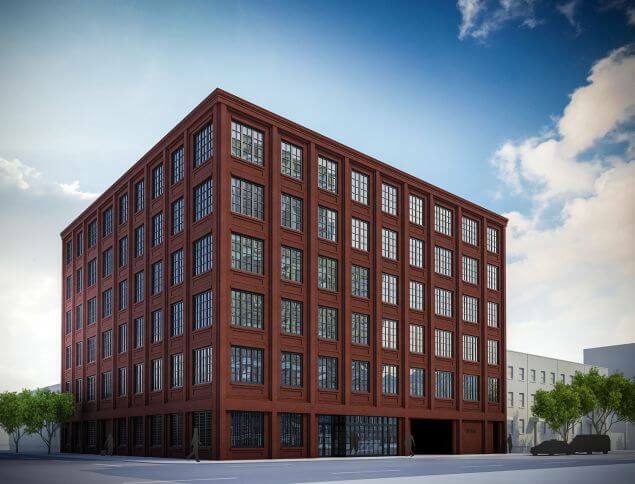 The exterior will echo the neighborhood’s masonry buildings, river views and other modern structures. Expected occupancy May 2016. Ground-up new construction by architect Issac & Stern; 39 total units throughout five stories. Studio, one- and two-bedroom apartments have interiors designed by HadasMetzler, and second through fifth-floor units have private terraces. Expected occupancy April 2016. CentraRuddy designed the two brick-facade, 14-story towers with casement windows. Two hundred and eighty residences made up of studios, one- and two-bedrooms. Expected occupancy March 2016.